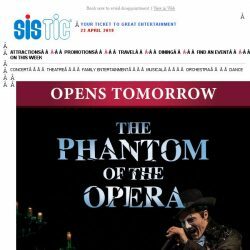 [SISTIC] OPENING SOON! 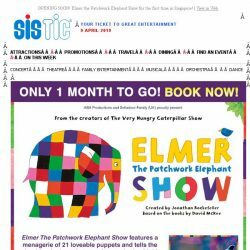 Elmer the Patchwork Elephant Show for the first time in Singapore! 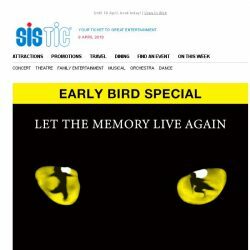 [SISTIC] CATS – Now on sale! 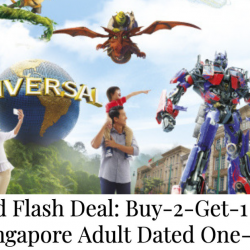 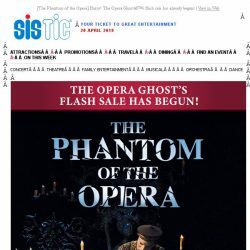 Enjoy 15% off the Early Bird Special for Andrew Lloyd Webber’s beloved musical. 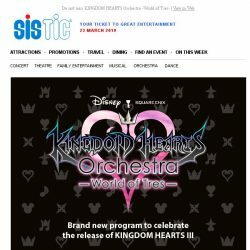 [SISTIC] Last 2 days to sign up for priority access to CATS! 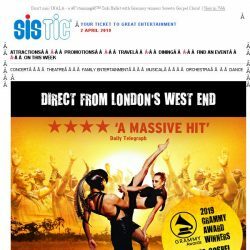 [SISTIC] Don’t miss INALA – a ‘stunning’ Zulu Ballet with Grammy winners Soweto Gospel Choir! 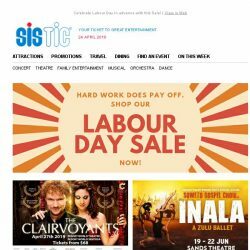 [SISTIC] Shakespeare’s Globe Returns! 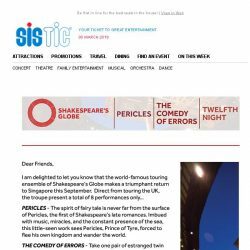 BOOK NOW for Pericles, Comedy of Errors & Twelfth Night. 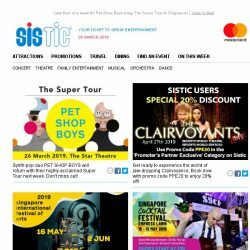 [SISTIC] THIS IS WHAT HAPPENS TO PRETTY GIRLS – Early Bird Ends 3 April! 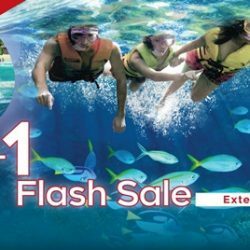 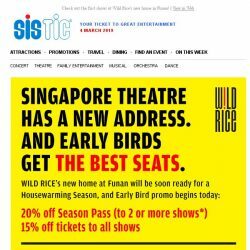 [SISTIC] Early Bird discounts for WILD RICE’s Housewarming Season end in 3 days. 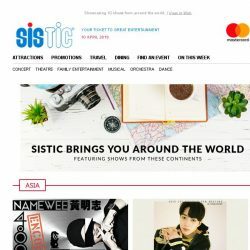 [SISTIC] Singapore Cocktail Festival is back this 2019 for its 5th Edition! 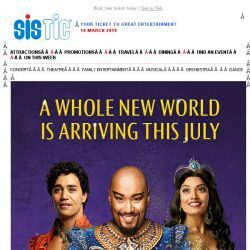 [SISTIC] A Whole New World of Broadway Magic is arriving this July in Disney’s Aladdin! 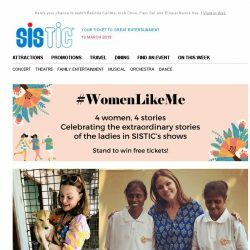 [SISTIC] Celebrate #WomenLikeMe this March and win tickets! 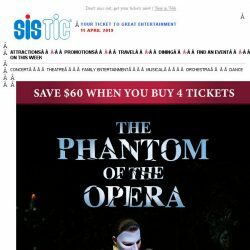 [SISTIC] The Phantom of the Opera opens next month. 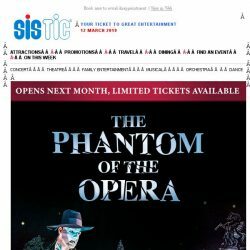 Tickets selling fast! 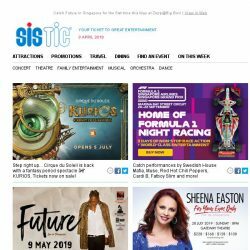 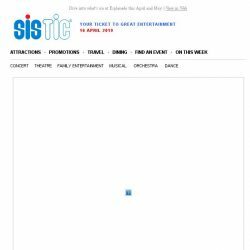 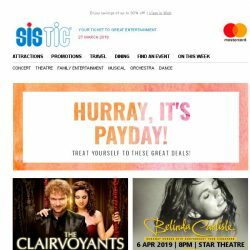 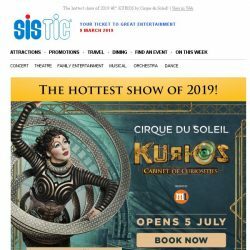 [SISTIC] The hottest show of 2019 – KURIOS by Cirque du Soleil! 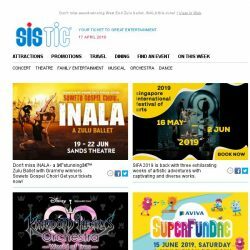 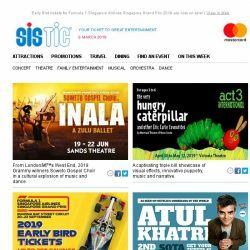 [SISTIC] Don’t miss the multi-award winning Zulu ballet INALA in Singapore this May! 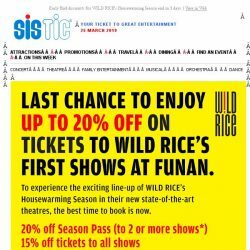 [SISTIC] Check out the first shows at Wild Rice’s new home in Funan!